During the past decade, the IT landscape has been marked with some significant trends. For starters, the world has embraced mobile devices and the cloud. Another key trend is the move to delivering solutions ‘as-a-Service’. Even hardware is being effectively delivered in that same model, as demonstrated by Apple’s recent announcement that iPhones will be offered on a subscription basis. Many major infrastructure components within IT have moved to this model, including compute infrastructure, customer and marketing relationship management software, and productivity applications. One category that is presently making the leap to this is model is outsourced directory services. 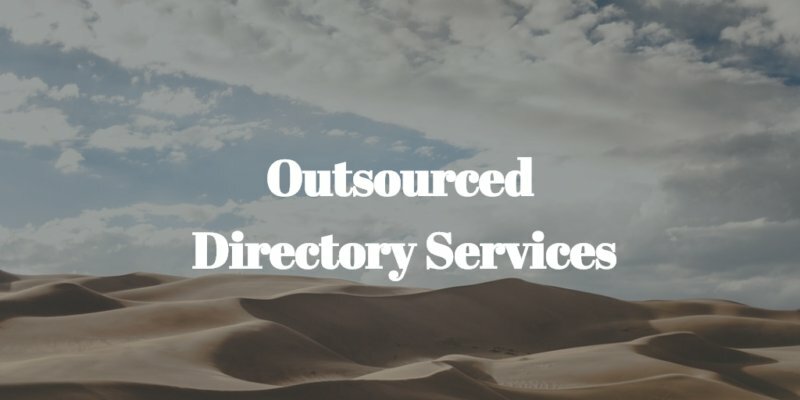 Directory service is a core part of any organization. The user database is the solution that connects users to the IT resources that they need. Those IT resources can include a person’s laptop or desktop computer, core applications located on-prem or in the cloud, and network access. The directory stores a user’s credentials and then validates the user’s identity when he or she attempts to gain access to an IT resource. The directory stores that user’s core identity and ensures that person has access to whatever they need. Besides the physical network itself, a user directory is arguably the next most critical service within an IT infrastructure. Historically, directory services have been provided by two solutions – Microsoft Active Directory and the open source solution OpenLDAP. Both of these solutions were introduced in the 1990s and were intended for a very different IT environment. Up until rather recently, the network was all on-premises and homogeneous, utilizing the Microsoft Windows platform. As the IT environment has shifted to be multi-platform, cloud based, and wireless, the existing directory service architecture has failed to keep up. While it would be easy to leverage a strictly outsourced or hosted version of Microsoft AD or OpenLDAP, that would belie the core issues with directory services today. A cloud-based directory service needs to be platform agnostic, service cloud and on-prem applications, and secure WiFi networks. A hosted directory service needs to fit in with today’s cloud-forward IT environment. Modern outsourced directory services, called Directory-as-a-Service® platforms, are meeting this need. They are connecting users to the IT resources that they need, including Windows, Mac, and Linux platforms; cloud applications such as Google Apps, Salesforce, and others; on-prem applications such as Jira and Git; and authenticating to WiFi networks via the RADIUS protocol. Outsourced directory services have tremendous benefits: reduced time, increased availability, and better security. But perhaps the most important benefit is that you don’t have to deal with the vendor or protocol lock-in that has historically existed with Microsoft and LDAP. If you would like to learn more about how a Directory-as-a-Service platform can help your organization, drop us a note. We’d be happy to discuss it with you. Or, feel free to give an outsourced directory service a try for yourself. Your first 10 users are free forever.